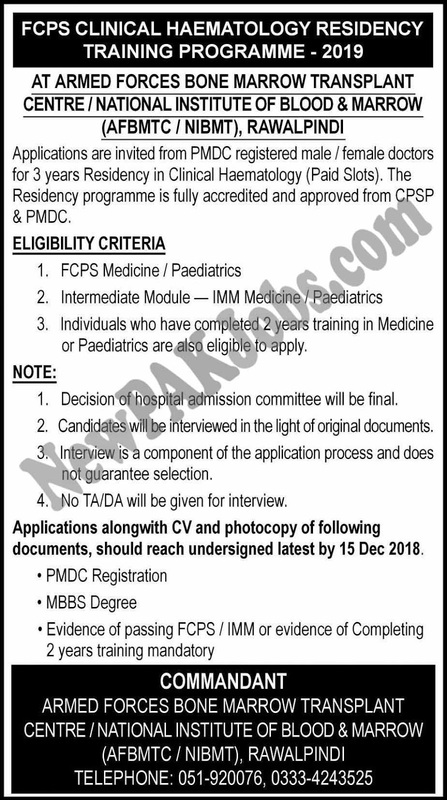 Applications are invited from PMDC registered male / female doctors for 3 years Residency in Clinical Haematology (Paid Slots). The Residency programme is fully accredited and approved from CPSP PM DC. Applications along with CV and photocopy of following documents should reach undersigned latest by 15 Dec 2018.